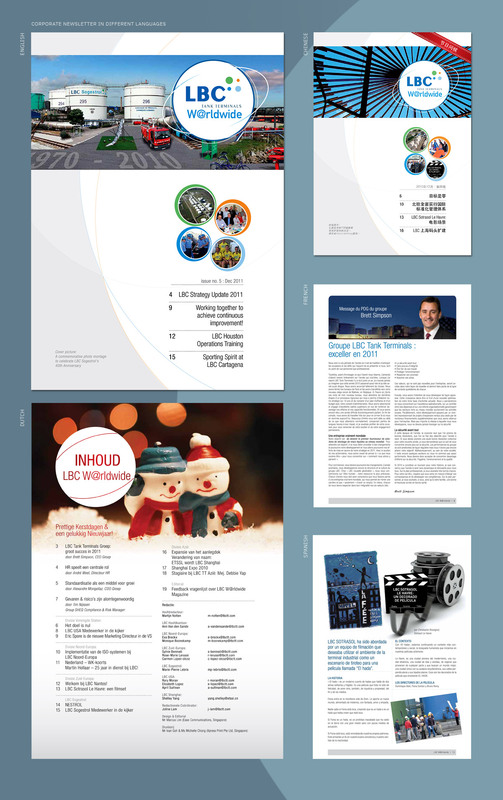 LBC Tank Terminals with offices spanning the globe requires a corporate newsletter that connects its staff with engaging editorial and design. A change they want from the past when the newsletter was merely a collection of articles plainly filling up pages in one-column layout. We put our cumulative publishing experience to bear, giving LBC Tank Terminals not only a refreshing new look but a carefully choreographed editorial that would be an enjoyable read for all. All within tight deadlines and in five languages.